Last week, I was sent a query from a reporter doing a story on the mistakes salespeople make during a recession and how selling is different in a recession. As I wrote my answers to her questions (and knowing that at best an excerpt would be used), I though I'd share my full answers. I hope they help as you guide your sales efforts. Questions are in italics. 1. As a sales manager/trainer, what is the most important lesson you have learned when coaching salespeople through past economic downturns? The most important thing I’ve learned in guiding salespeople in any environment, but especially in a downturn, is to maintain concentration and confidence. It’s very easy to get focused on what is being “lost,” which erodes confidence and causes salespeople to enter a scarcity mentality. Getting salespeople to focus on what is happening and on the opportunities that do exist is critical. When salespeople focus on what is happening instead of what isn’t happening, they’re able to take an assertive approach and build their confidence. When they’re not focused, they become increasingly reactive, and in a down economy, being reactive is the equivalent of being thrown by the waves in a hurricane. 2. Is selling during a recession different from selling at any other time? Why or why not? Selling is and isn’t different in a recession. The difference lies in the customer’s mentality. The customer is more likely to be in a defensive posture and to shut down. This means that salespeople need to focus even more on connecting with customer issues and diagnosing the causes of problems, they must make their offerings indispensable. Additionally, salespeople must spend more time ensuring that the customer a) fully understand their problem and b) that salespeople monetize the value of their offerings/solutions. If a selling proposition fails to provide hard evidence of return, the “softness” of the proposition will be overwhelmed by the fear of risk from the buyer and the sale will stall. What’s not different about this, is that this is what salespeople should be doing in any market. They’re able to get away without doing this work when “the tide is high,” but in this environment mistakes are not forgiven. 3. 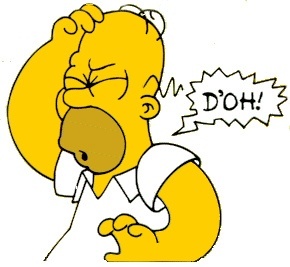 What is the most detrimental mistake salespeople make in a down economy? The biggest mistake they make is they lose focus. The natural tendency in a down market is to try to put more and more opportunities into your “pipeline” or opportunity filter. This is what I call the wide approach. However, because customers are in a heightened state of fear and the work a salesperson must do to make a sale is greater going “wide” is deadly. We call this going wide instead of going deep. The right strategy in a difficult market (any market really) is to go deep – but few salespeople (or businesses) actually do this. 4.Why is this mistake often made? Fear – salespeople start getting worried, take on a scarcity mentality and start focusing on volume of “opportunities” rather than the depth or quality of them. Lack of strategy – the reality for most salespeople is that they are less “the cause of sales” in good times, than they just happened to be there when sales got made (I don’t mean this a derogatorily). When times get tougher and buyers retreat, salespeople have not developed the skills or planning to truly penetrate and create opportunities. I often say that the definition of a great salesperson is someone who can be selling when there is nothing that can be bought. This is how relationships are built and developed. 5. What can be done to correct this mistake? Training – the unfortunate truth is that most salespeople need to be taught again how to sell. They’ve operated in a “rising tide” environment for so long that they've become lazy and stopped competing. Selling in difficult markets is different than in growing or neutral markets. Every industry has the feel of “decline” to it. New skills and new approaches are needed. Focus – The three most important aspects of selling in a difficult market are: focus, focus and focus. We are advocates of what we call Warboards – lists of key targets that we are pursuing. This idea is by no means new or original – frankly all great selling organization utilize a similar approach. Our prototype recommendation is on what we call The Focus 50 (this number is adjusted depending on company issues), which is comprised of The Top 20 (the 20 best opportunities that we are working with to close in the short term) and The Farm 30 (the 30 best opportunities that we are developing). 80-100% of sales efforts should be focused on Warboard accounts. Monitoring – One of the first things President Barack Obama did when taking office was to institute a daily economic briefing to mirror the daily national security briefing that Presidents have been getting for decades. The same thing should be done in selling organizations. On a daily or weekly basis (depending on the situation) there should be a Warboard Review meeting. Every Warboard account is reviewed in a rapid fire manner. This increases accountability, requires salespeople to maintain focus on accounts, and identifies opportunities and, more importantly, log jams faster. We find that within a month of instituting the Warboard Review meeting the entire sales culture changes for the better.